Breast problems for ladies seek surgical correction are either due to underdevelopment (hypomastia), overdevelopment (hypertrophy), sagging (ptosis), or any combination thereof.However, environmental factors as stress also play a role. Sagging usually a result of either weight fluctuation or pregnancy. As everyone knows, different people manifest aging of their face in many different ways. In some people the upper eyelids age more rapidly, in others the neck, in still others the midface, or any combination of these. Therefore Face and Neck Rejuvenation can involve any combination of procedures. Being the center of the face, the nose has received much aesthetic attention.Since we also breathe through our nose, it has a very important functional role as well. Further, people, especially children, fall on their faces and it is the nose that received the main portion of such blows in these situations. In general body procedures usually involve removal of redundant and sagging parts (e.g. 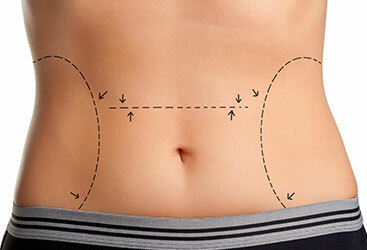 Tummy Tuck or Abdominoplasty), removal of excess fat (e.g. Suction Assisted Lipoplasty or Liposuction), or reshaping of deformed parts (e.g. Repair of Post-Pregnancy Muscle Laxity/Diastasis Recti). Welcome to The New Age Institute for Aesthetic Plastic Surgery and thank you for visiting us. Ruben B. Abrams, MD, FACS, is dedicated to providing superb surgical skills together with his one of a kind artistic eye helping each one of his patients get the look, face, nose, breasts or body they deserve utilizing the highest quality equipment available in Beverly Hills, California. Aesthetic Plastic Surgery, Cosmetic Plastic Surgery, Noninvasive Cosmetic Procedures, Rhinoplasty, Breast Augmentation, Tummy Tuck, Mommy Makeover or a simple Face-Lift, whichever you may need, at The New Age institute, Ruben B. Abrams, MD, FACS ‘s expertise will help get what you dream for. 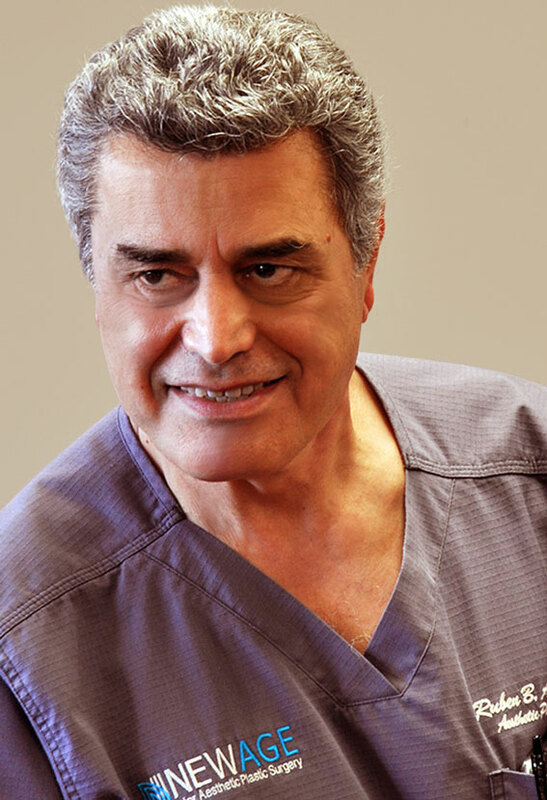 Board Certified Plastic Surgeon, Dr. Abrams has extensive experience in the latest cosmetic surgery advances and the artistic techniques he employs are innovative. Dr. Abrams has extensive experience in all areas of cosmetic surgery including Tummy Tuck, Facial Rejuvenation, Nasal Improvement, Breast Enhancement, Breast Reduction, and Body Contouring. "Dr. Ruben B Abrams is a Certified Diplomate of the American Board of Plastic Surgery, a Fellow of the American College of Surgeons, and an active, esteemed member of the American Society of Plastic Surgeons, as well as the American Society for Aesthetic Plastic Surgery." Dr. Ruben B Abrams: “In order to provide service for you that will meet our high standards of the Ultimate Art Form we first must understand what your needs and your goals are. This begins with an honest and open discussion in a friendly environment. Our first class service will make the cosmetic surgery procedures a very comfortable and as enjoyable as possible. Enhance your beauty and feel like a king or queen at New Age Institute Of Aesthetic Plastic Surgery. 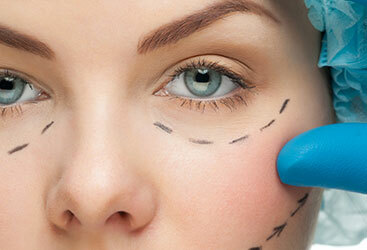 Cosmetic surgery is an art which only an artist with major hands can perform. Contact Dr. Roben Abrams today and experience the magic. GREAT EXPERIENCE. Dr. Abrams was great. Surgery went really well, he answered all my questions and concerns in advance, recovery was super easy. Very professional, barely waited when I got there for consultation, all his staff is so sweet, I was just so comfortable throughout the whole process. I would definitely recommend him.